CommuniLink currently provides domain parking service to over 9,000 vitrual domains. this service allows you to secure any domain name for current or future usage without any monthly charge. More Info about domain registration can be found in our Domain FAQ. An example of the Web site: "http://www.communilink.net"
The domain name of this web site is "communilink.net"
Please use the following form to check the availability of a domain name. 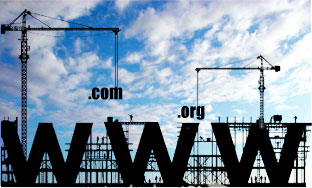 Please provide a value for a domain name and select one of the extensions (i.e., ".com", ".net", ".org", "com.hk", etc.). You can register a domain name without any handling charge by joining CommuniLink's services such as web hosting, email or etc. You can also park a domain name for HK$150 charge. You can register a domain name without any handling charge by joining CommuniLink's services such as web hosting, domain email or etc. The domain renewal invoice will be sent to you by email individually.